Web Forwarding is now ready for you! We're going to provide some products with csie.org logos. 夏天到了, 我們要賣東西囉! 預計可能會有 T-shirt,電話卡，名片，馬克杯之類的東西. 不過一切尚在計畫中... 歡迎 mail 你的意見給任何一位 members. 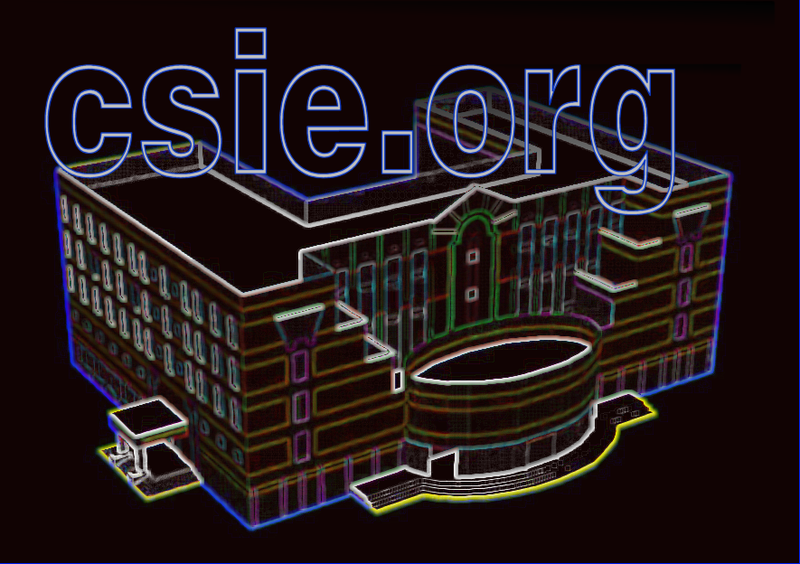 Welcome to the official website of "csie.org" domain. This domain is registered since 2002 by the founders. The English text should give you as much information as those strange symbols do. "CSIE is Something Interesting and Excellent"
All the webpages here are typed manually without any WYSIWYG editors as FrontPage or Dreamweaver. The layout, dynamic effects, and logo are all rendered by the power of Cascading Style Sheets (CSS v2). We believe this helps loading time and compatibility on browsers. Although the pages are readable on ALL browsers, we strongly suggest you to use Mozilla or other Gecko-based browsers as Phoenix which supports the standards we followed well. csie.org Mail Forwarding Service will now process all mails with SpamAssassin before go forwarding. Please check the service page to see detail. Suggestion to what services should we provide is welcome. All contents of this site are ©2002-2038 csie.org members. All Rights Reserved. Contact the web maintainer adm at csie dot org if you have any problem.